I go to Starbucks pretty often, I’m a big fan of their iPhone app that allows me to pay for my coffee by having the barista scan a code on my screen. The process is quick and easy and I have fun earning stars and checking the balance of all my gift cards. By next year, a scan-less method will be more popular and available with more merchants and on more phones. Early this year, Google released a video introducing their new Google Wallet service. The NFC technology is integrated into a few Android phones rolled out this year and allows you to pay at the register with your device. Instead of scanning a code, payments will instead be made to merchants by simply tapping your phone on a recognized reader. According to DigiTimes, Microsoft and Apple have agreed that this is indeed the future and have planned on adding NFC support to their next Windows and iPhone platforms in 2012. Currently, less than 10% of phones are NFC-enabled. Once the Redmond and Cupertino companies join the picture, that percentage will increase to over 50% in the next few years. "Without technological problems, the unsmooth development of NFC is mainly attributable to problems in standard specification, ecosystem and commercial operation, the sources indicated." The problem may be solved by creating a SIM-based NFC protocol. This idea is backed up by 45 carriers worldwide, including AT&T and Verizon, the two largest wireless providers in the United States. 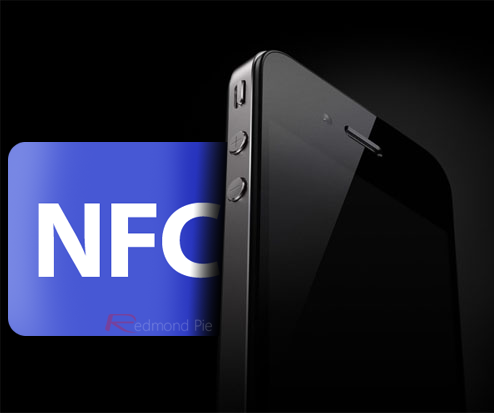 Apple has been rumored to support NFC for quite some time. Due to their recent patent filings, job listings and comments from some of company’s executives, the rumors have lately turned into a pretty likely prediction. It will be nice to go wallet free and use phones for payment transactions, and this is a start. I’ve forgotten keys, and even my wallet when I’ve left home many times, I’ve never forgotten my cell phone. There are still a few hurdles to overcome; people still need to carry important documents with them at all times. Who knows? Maybe one day we can have a digital driver’s license on our phones too. Isn’t it nice when you can pay your coffee bill by using your mobile. You do not need to carry your wallet everywhere. Even if you do not have the risk of losing your money also. Apple and microsoft are really doing some great job here.